This new Culver City Live Scan Fingerprinting Center is located at 400 Corporate Pointe, Suite 300 (Third Floor Main Doors), Culver City, 90230. You can find the hours of operations by clicking on our “LOCATIONS” link in our menu above. Services at our facility not only include Live Scan Fingerprinting but Notary Public services, Child-ID Fingerprinting, Accounting, and other Business Development services. Marina Del Rey Live Scan Fingerprinting Applicants and other residents can save money immediately by setting up an appointment online, click here to learn more or just click on the appointment button below. There is plenty of parking and easy access off the 405 and 90 highway or even from the main streets (click here for directions). Who is affected by it? If you have held an active Occupational License issued by DMV in the past 3 years, you may not require a new set of prints. But be sure to follow-up with your local DMV, as this information may change. Business Partner Automation Program/Employee (i.e., Registration service, Dealer, Automobile Club, Rental Car, Leasing Company employee). 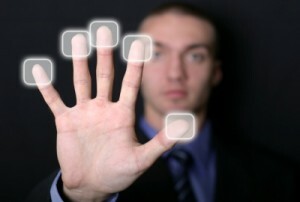 What the next step to be Live Scan fingerprinted? The occupational licensing applicant can visit any of our Live Scan Fingerprinting Centers nearest to them to get fingerprinted. The applicant is to bring their Live Scan Request Form (DMV 8016) with them. This form should be provided by the DMV office. The applicant can also call the DMV Licensing Operations Division Occupational Licensing Branch in Sacramento (916) 229-3126 or Los Angeles (213) 744-7563 and request that Live Scan request form be mailed. If the licensee does not use the DMV’s Live Scan form, it is suggested he/she take a sample of the form with them to one of one Live Scan Fingerprinting sites, this will assist in ensuring one of our trained technicians has all the information needed for transmitting the data to the appropriate agency. To verify your identity, please bring an official governmental photo document (e.g., driver license, identification card, passport, etc.) with you to one of our nearest Live Scan Sites. A sample of the California DMV’s Live Scan form can be found on our website under the “FORMS & LINKS” tab. To learn more contact us today, (888) 498-4234. Anyone applying for the first time with the California Department of Motor Vehicles (DMV) to be licensed as a vehicle salesperson, dealer, driving instructor, manufacturer, transporter, dismantler, registration service, distributor, lessor-retailer, remanufacturer, or any other vehicle industry relating to an occupational license issued by DMV is required to receive a Live Scan in order to conduct a criminal background check. This also applies to first time applicants for an ambulance driver certificate. The applicant must go to a Live Scan site to be Live Scan fingerprinted before applying for an occupational license at DMV. If you have held an active Occupational License issued by DMV in the past 3 years, you may not require a new set of prints. But be sure to follow-up with your local DMV, as this information may change. The occupational licensing applicant can visit any of our Live Scan Fingerprinting Centers nearest to them to get fingerprinted. It’s strongly suggested that the applicant bring their Live Scan Request Form (DMV 8016) provided by the DMV office. The applicant can also call the DMV Licensing Operations Division Occupational Licensing Branch in Sacramento (916) 229-3126 or Los Angeles (213) 744-7563 and request that Live Scan request form be mailed. If the licensee does not use the department’s Live Scan form, it is suggested he/she take a sample of the form with them to ensure the Live Scan site has all the information needed for transmitting the data to Occupational Licensing. The California Live Scan Fingerprinting Centers have been contacted by IHSS Providers throughout the state of California looking for IHSS Live Scan forms for their particular county. Why are IHSS Providers contacting us? In-Home Supportive Services (IHSS) Providers have been notified by the State of California stating that individuals who do not complete the enrollment requirements by December 31, 2010 will be terminated and will not be eligible to receive payment from the IHSS Program for authorized services provided to recipients after December 31, 2010. Los Angeles County IHSS Providers Live Scan Forms On-site. Don’t jeopardize your eligibility and payment status with the IHSS. With extended hours and $49 Live Scan promotional rate, IHSS Providers can not only save money but can be in and out of any of centers as little as 15 minutes. Walk-ins are welcomed but appointments are preferred. We Can Help & Save You Money! Our California Live Scan Fingerprinting Centers and Mobile Live Scan service can assist and save you money with the Live Scan criminal background checks required by the California Department of Justice (DOJ). The $49 Live Scan rate for IHSS Care Providers is our gift to you. Services and prices are subject to change without notice.